There was once a girl who lived in a village at the edge of an old forest. As was tradition, when she came of age she was given a red cloak that had been worn by her mother, her grandmother and all the women who had gone before her. It was an old, faded thing, thick and warm, and when she pulled it over her shoulders it felt as though it came alive, as though some ancient being wrapped its arms around her, holding her close to heart. Listening, she could hear the songs and stories of her foremothers. She felt their tears flowing and their voices calling. 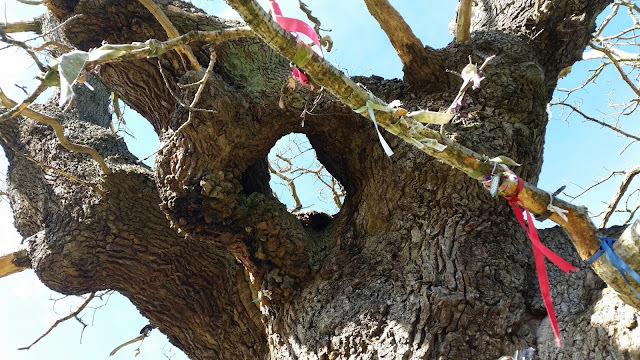 She felt their love filling her from within, and she felt their power rising from her bones, spiralling up and spiralling down, invoking the voice of the ancient mother, softly singing her home. The red-cloaked woman stepped out from her house and the villagers gathered around her, throwing red petals at her feet. They followed the young woman, singing and chanting, through and out beyond the village to the edge of the old forest. There a path could be seen that the young woman had never noticed before. “Go on!” cried the villagers. So she went, following the path into the heart of the forest. The young woman approached the elder, who looked the young one deep in the eye and took her hands in hers. “Come, let us sit by the fire,” she said. Into the hut they went, and there it was warm and there was hot tea to drink and good food to eat. By the fire they sat and the old one said, “tell me your story, my daughter!” and so, the young woman told a story she had kept hidden in the chambers of her heart for a long, long time. Telling the story and letting it flow, the young woman both spoke and listened at the same time, the story a mystery even to her own ears. 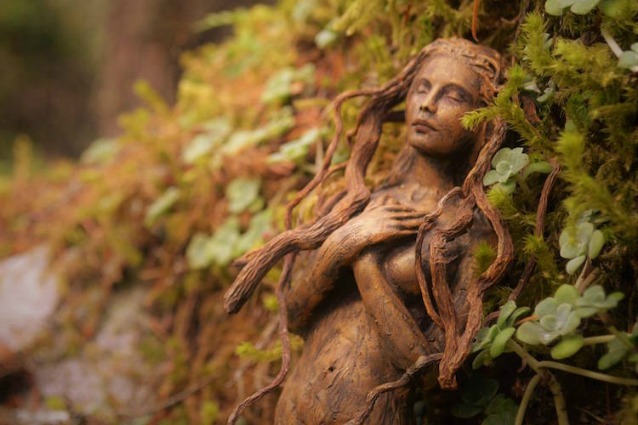 The woodswoman listened to her every word, listening and loving, rocking her gently and holding her close. The young woman stayed with the grandmother until the shining face of the moon began to light up the night sky once again. There she learnt to listen to the whispers of trees and sense the magic stirring within every breath, every bone. By the fire they sat, weaving songs and stories round and round, circling round the fire, spiralling down to the earth and up to the stars. So the young woman thanked the grandmother and returned to the village whence she came. 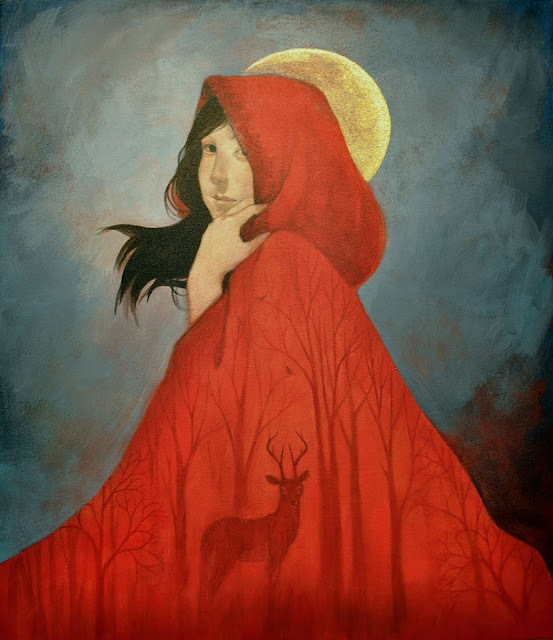 She returned the red cloak to the village elders, and whenever a new daughter came of age, she was given the red cloak to show her the path into the woods, singing her home to the red tent.